.... Half of young people admitted they had never heard of Lenin. And while 8 percent were ignorant of Adolf Hitler, and therefore clearly as ignorant as swans, it is what happened farther down the name-recognition list that was more alarming. Fully 39 percent of young people associated George W. Bush with crimes against humanity, and 34 percent associated Tony Blair with the same. Which were higher percentages than for either Mao Tse-tung (20 percent) or Pol Pot (19 percent). The cause is not fellow-traveling but sheer ignorance. No less than 70 percent of young people said they had never heard of Chairman Mao, while 72 percent had never heard of the Cambodian génocidaire. But what are the consequences of societies with so little memory of 20 million deaths in the USSR? 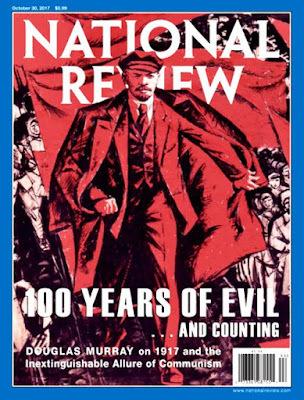 Or the 65 million deaths caused by efforts to instill Communism in China? If those 65 million Chinese deaths cannot detain us, what are the chances that anyone will care about the 2 million deaths in Cambodia? The million in Eastern Europe? The million in Vietnam? The 2 million (and counting) in North Korea? The nearly 2 million across Africa? The 1.5 million in Afghanistan? The 150,000 in Latin America? 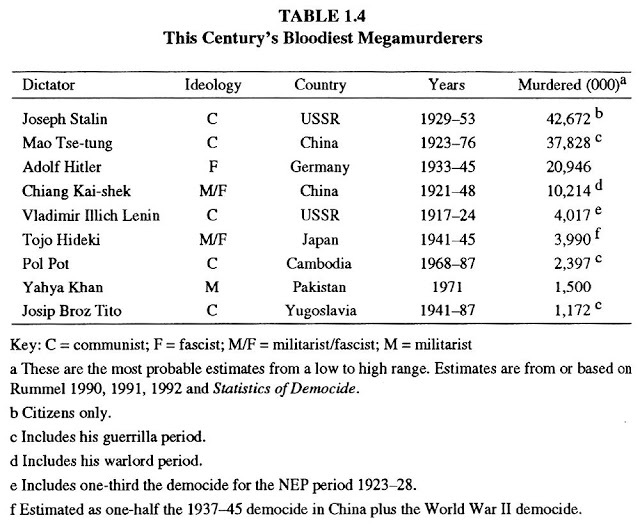 Not to mention the thousands of murders committed by Communist movements not in power, a number that could almost seem meager compared with the official slaughter?